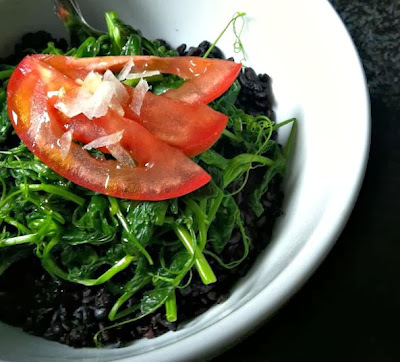 Sauteed Pea Tendrils & Fresh Tomato Slices over Black Rice. Instagram is, by far, my favorite social networking app. 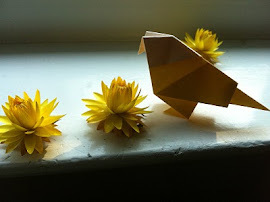 Instead of tweets and status updates, visual images are the main form of communication. Running the gamut of subject matter from obsessive self-portraiture to sweeping Ansel Adams-esque landscapes, it allows everyone to share something of themselves that they love, regardless of training, geographic location, gender, SES, or first language. And regardless of my own similarity or dissimilarity to any other 'instagrammer," I can enjoy their photos - not because of who they are, what they've accomplished, or where they come from, but solely because of what I see. That, I love. 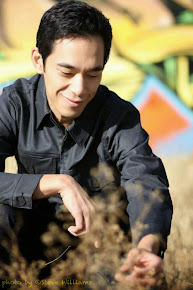 And I also love how it teaches me new things. Amongst them, that a picture really can be worth a thousand words, and my favorite thus far, that I am apparently a purveyor of "foodporn." So with that being said, here's another glimpse of the things I cook, bake, and eat on a daily basis through the lens of Instagram. 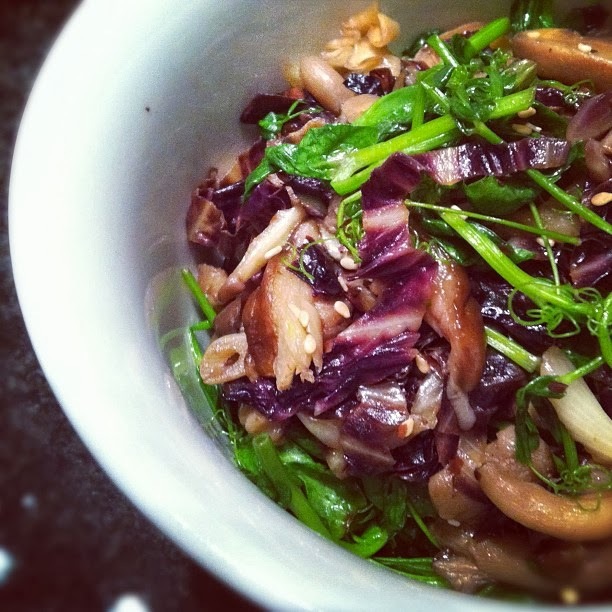 Welcome back to The Canary Kitchen. 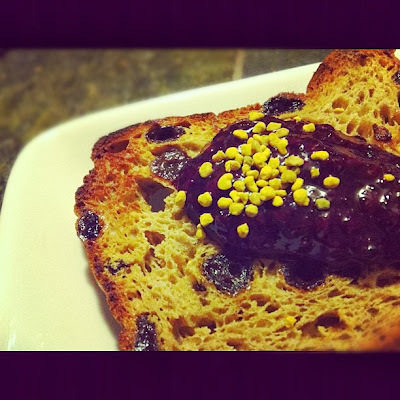 Homemade Blackberry Vanilla Jam with Bee Pollen on Raisin Toast. 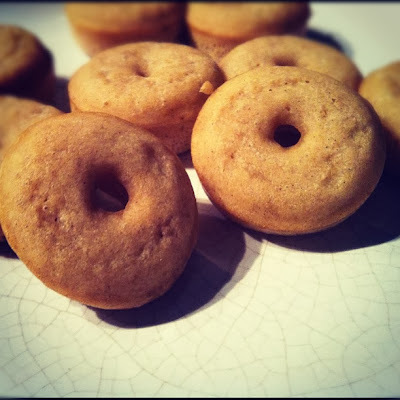 Gluten-Free & Vegan Baked Yeast Doughnuts. 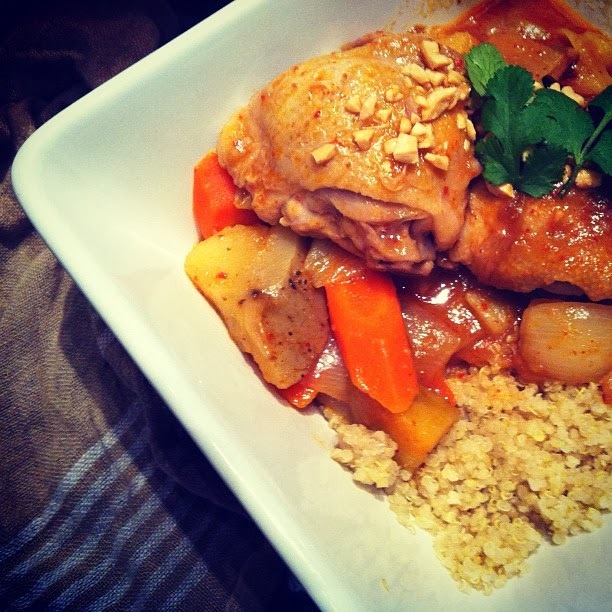 Chicken Massamun Curry over Quinoa. 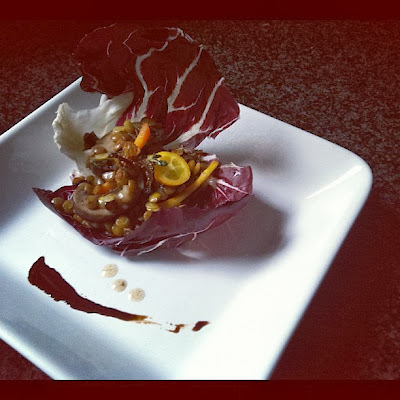 Radicchio Leaf with Roasted Lentils, Mushrooms, & Carrots. 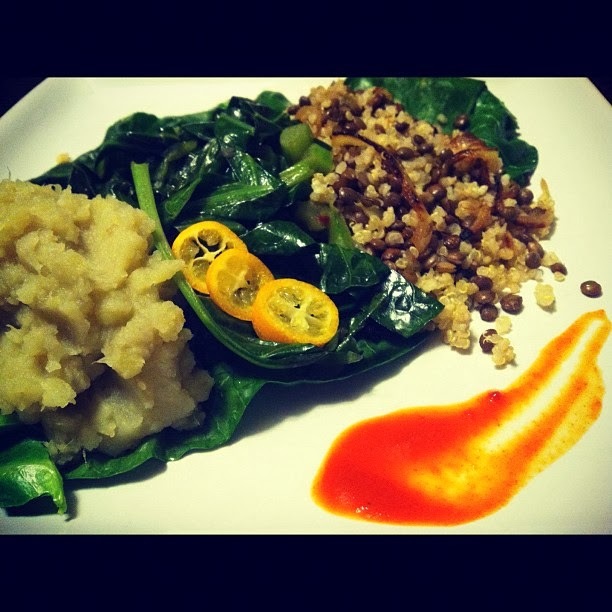 Mashed Japanese Yams, Collards, & Quinoa Pilaf with Burnt Onions. Eating with the eyes is fun, isn't it? 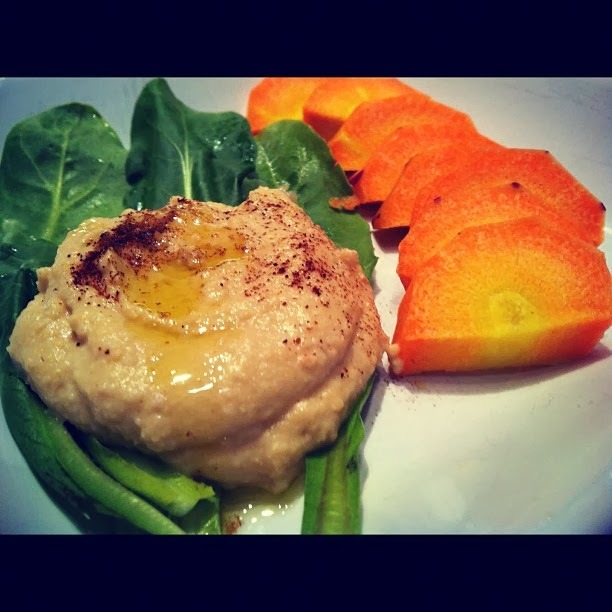 Chipotle Hummus over Dandelion Greens with Red Carrot Crudite. 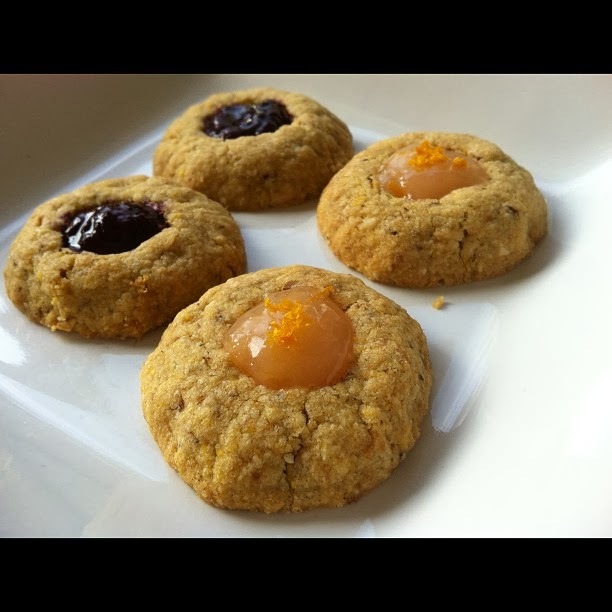 Gluten-Free & Vegan Cornmeal Thumbprint Cookies. 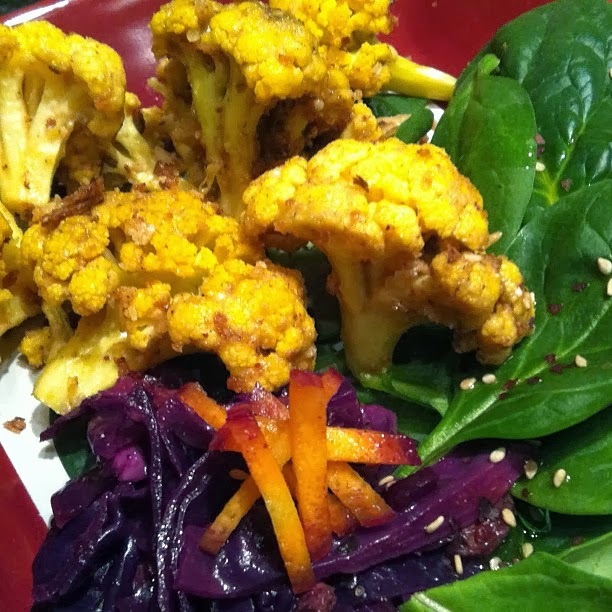 Roasted Yellow Cauliflower, Curried Purple Cabbage Slaw, & Spinach. Saute of Mixed Mushrooms, Radicchio, & Pea Tendrils with Sesame. 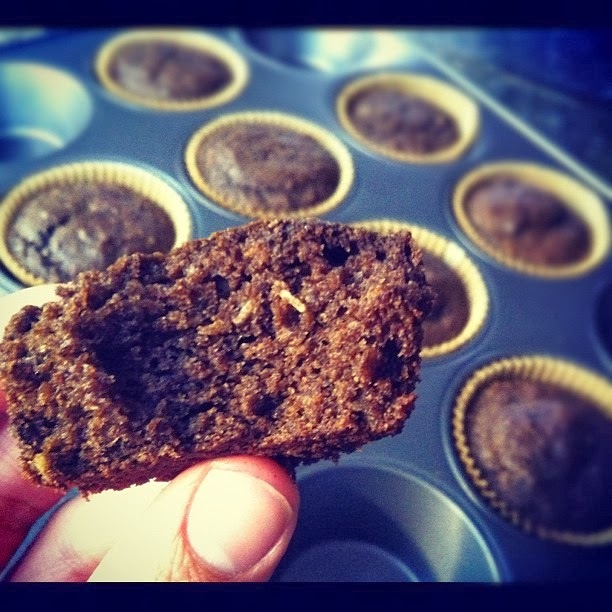 Gluten-Free, Vegan Carob Coconut Banana Cupcakes. Now I'm off to do a few more trials of gluten-free crepes before this Wendesday's big Ratio Rally reveal. But before I leave for my weekend and you for yours, please note the new "FAQ" tab at the top of the page. It was a hoot writing it - almost like interviewing myself. And if you have just one more moment, please respond to the poll in the sidebar regarding "recipe research." Inquiring minds want to know. 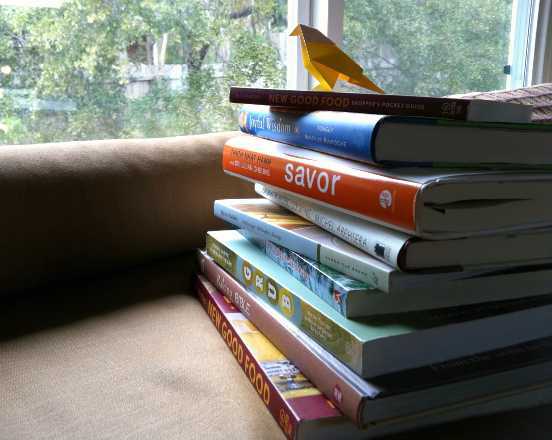 Thank you, as always, for reading and may you have a beautiful weekend of laughter, leisure, and most of all, love.